If you want to win over someone, just send them a delicious cake along with roses. This is something that can put a smile on anyone’s face. 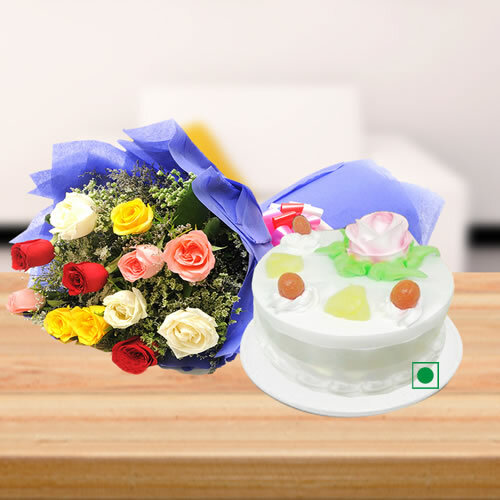 All you have to do is send hamper of cake and roses Jaipur. The person will surely be happy with the gift. You can easily buy cake from the website of Gift Jaipur. You can also change the flavour of the cake or increase the number of roses buy paying an extra charge when you order cake. The cake delivery will be made as soon as possible after the cake online order is received. We always sell eggless cake, so if you need one, just contact us.